The musical voyage returns to the rails May 31, June 1, August 16 and 17, 2019! Winter may be right around the corner, but it’s never too early to start planning for the summer of a lifetime! Join us for the 2019 Durango Blues Trains on May 31, June 1, August 16 and 17, 2019. 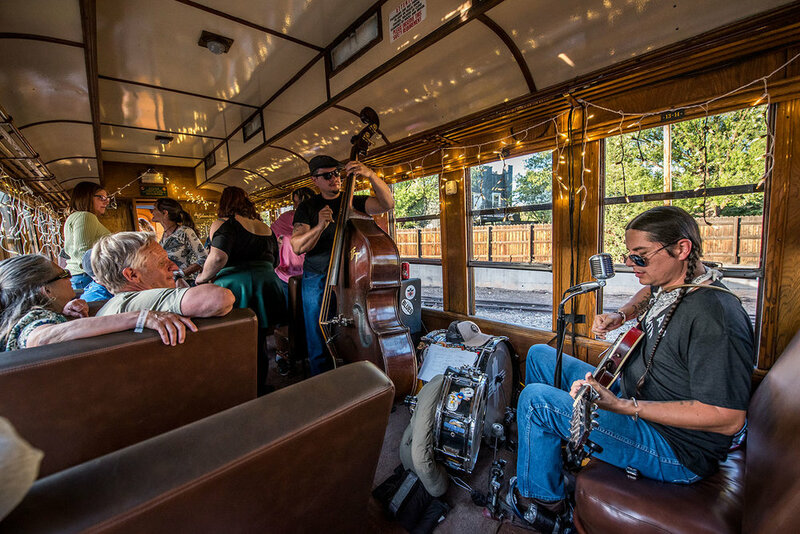 Featuring six live blues acts aboard the historic Durango Silverton Narrow Gauge Railroad, the Durango Blues Train is a unique and scenic live music experience. Mark your calendars! Tickets for the May 31 and June 1 Durango Blues Train go on sale on Wednesday, February 13 at 10 am (MT). Tickets for the August 16 and 17 Durango Blues Train go on sale Wednesday, March 13 at 10 am (MT). Tickets are very limited will sell out quickly with the Saturday trains, June 1 and August 17, going first. Visit out Lodging and Planning page and start planning your trip now!